Best Burger, Best Fries in Town! 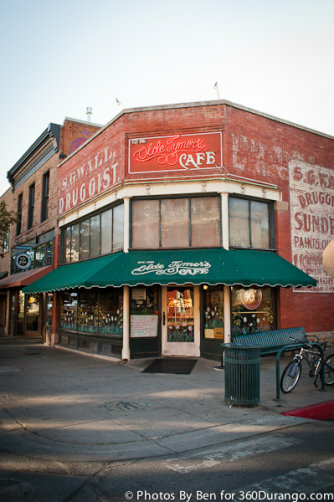 In many mountain towns, this sort of place is off the beaten path, but for Durango, Olde Tymer’s Cafe, is right smack downtown: A People Watcher’s Paradise! Yet it's not all about the location; it's the impressive assemblage of grub, suds, and buds that turn this historic dwelling into an icon. 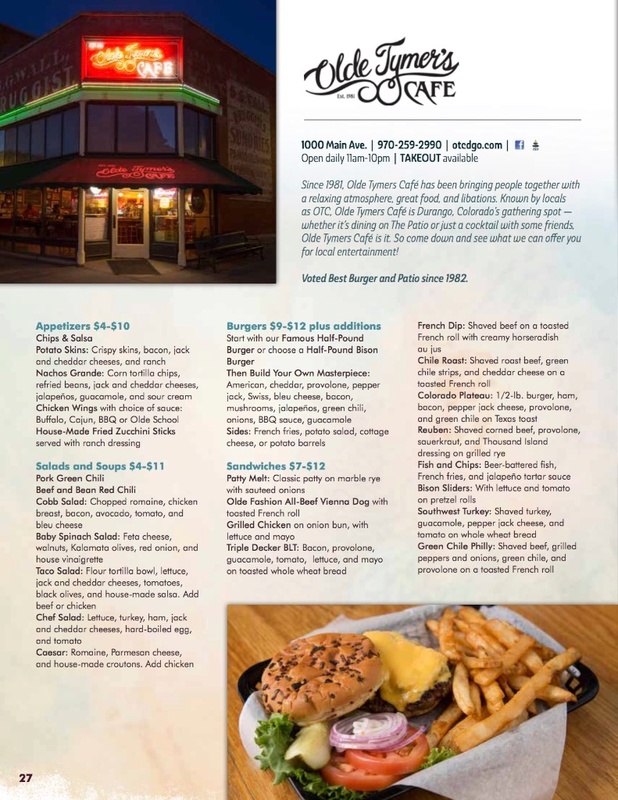 Not only has Olde Tymer’s mouth-watering burger won numerous “best of” awards, so has its outdoor patio, featuring all the yummy stuff available inside, affable service, and Colorful Colorado’s foliage. There is hardly a more perfect way to capture the local flavor, while immersing in South West Colorado’s enchanting environment. There’s more to admire than taste regarding Durango’s Best Burger since 1984. Dine on Monday nights and you’ll only forfeit $6.50, plus a buck-fifty for a domestic draft! Don’t limit yourself; it’s not the only standout on the menu. Treat yourself to one of OTC’s infamously delicious sandwiches, such as, the one-of-a-kind SW Turkey with homemade guacamole on Wheat Berry, the precisely grilled Philly Cheesesteak, or the OTC BLT! Even those on a constrained budget can afford a night on the town at OTC’s. Stop in any day of the week after 4 p.m. for an unbeatable lineup of culinary treats. Friday nights rule with the straight-from-the-80’s $2.25 Taco & $2.50 Mexican beer or $2.95 Margarita special! Not to be outdone, we feature Grassfed or Buffalo Sliders all day on Saturday! Then there’s the deal you will not find anywhere else. The Burger, SKA Pint, and Tee Shirt Package for $20 available all day, every day! Everyone in the family is sure to walk out with a smile. It IS the place to be and it IS just plain fun!